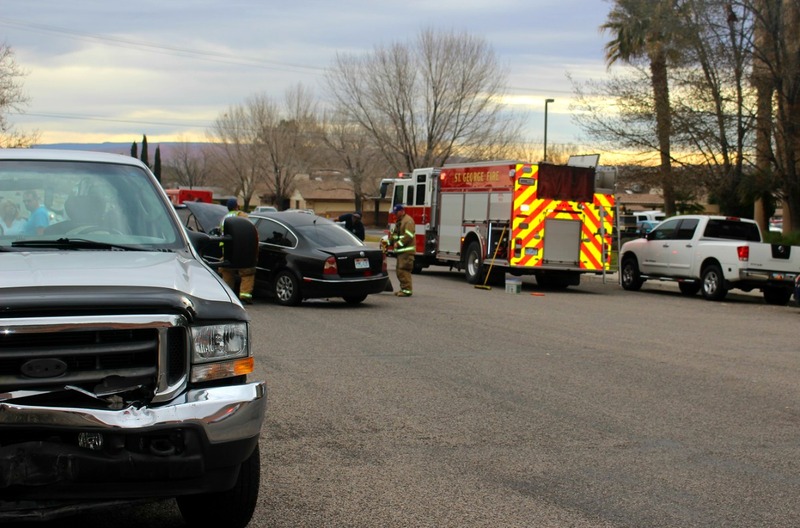 ST. GEORGE — A Friday morning commute to the office was interrupted after a wide right turn resulted in two damaged vehicles and brought several officers and responders to a large scene. 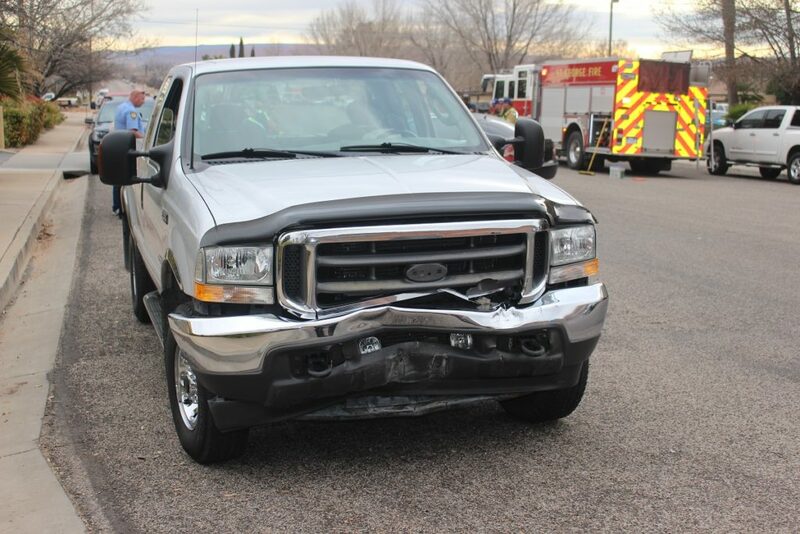 The incident marked well over 200 crashes in the St. George city limits already this year. Just after 9 a.m. officers and emergency personnel were dispatched to a crash on W. 600 South near the corner of Bluff Street involving two vehicles, a silver Ford pickup and a black Volkswagen Passat, St. George Police Officer Ken Childs said. Upon arrival officers found the extensively damaged Volkswagen in the westbound lane facing east, with the Ford resting nearby. After checking both drivers for injuries, officers set out to determine the cause of the crash, Childs said. The investigation showed that the woman driving the Volkswagen was heading north on Bluff Street and made a wide right turn onto W. 600 South, Childs said. The turn was wide enough that the driver, who stated she was intending to turn left of 600 South into a parking lot, actually ended up in the other lane of travel. Meanwhile, the man driving the Ford was heading west on W. 600 South and was struck by the Volkswagen as it entered his lane, Childs said. The impact that sent the Volkswagen spinning in the roadway until it came to rest facing the wrong direction. Childs said the driver of the Volkswagen probably didn’t see the truck coming from the opposite direction. Friday morning’s wreck marks the 233rd crash for this year, St. George Police traffic Sgt. Craig Harding said. The Ford sustained moderate front-end damage and remained operational, while the Volkswagen was significantly damaged and was towed from the scene. I can imagine a “wide right turn” caused by a cellular device in one hand. Yes people that can’t put down their phones and idiots that don’t know how to come to a complete stop at the stop sign it doesn’t mean yield people. Just another pickup truck. I just noticed most every one of these accident scenes has at least one pickup truck in it. One thing I’ve noticed with all these crash stories is that every vehicle had a human behind the steering wheel. So maybe I’m reaching here, but I believe all these crashes are human error caused by one or both parties involved.